You will need to register and log in to our recruitment system to apply for a job with Rugby Borough Council. To find out more about working for the council email jobs@rugby.gov.uk. Please put your bins out by 7.30am on the day of collection. Please do not put recycling or green waste into plastic carrier bags or black sacks. More on rubbish, recycling and environmental problems. If you are struggling to pay your council tax you may be entitled to a reduction or discount. We may also be able to help you with housing benefit or Universal Credit. More on council tax and benefits. More on planning and planning permission. Information about councillors, voting, how we make decisions, our corporate polices, strategies and performance, and how you can get involved. Find out more about the council. More on parks and play areas, sport, recreation, and keeping fit and healthy. More on your community, our A to Z of services, and site map. Our secure online payments site accepts card payments including for council tax, business rates, parking fines, rent, and council invoices. The council offers an opt-in garden waste collection service for residents who would like a fortnightly collection. Details of candidates, parties and polling stations for the local elections. Raise money for local good causes with the Rugby Lotto. 60 per cent of the ticket price goes to good causes. 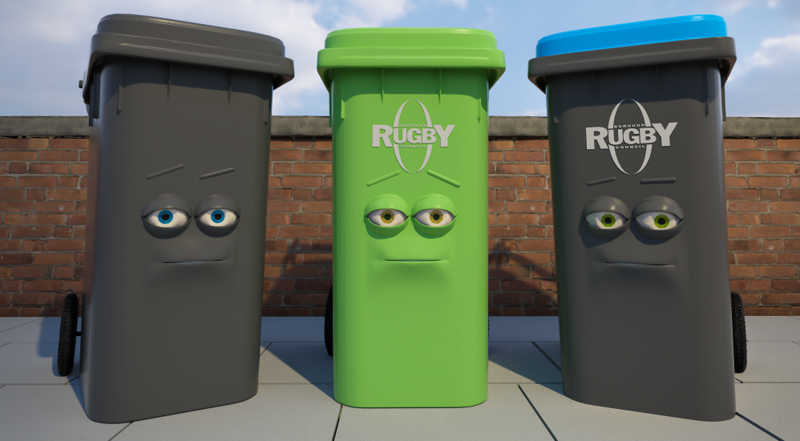 Find out what rubbish to put in each bin, what happens to your waste, and how much waste Rugby produces. ARTIST Indre Serpytyte explores the role of women in war in her new exhibition, When the Golden Sun is Sinking. RUGBY Visitor Centre has launched the Rugby 2020 Calendar Competition. A NEW pass offers rugby fans the ultimate sightseeing experience in the birthplace of the game.